Abacus Industries are HACCP Australia certified and supply the food industry at all levels with quality printed stickers, labels, cartons, bags, tags and arrange from the design through production to the delivery as arranged. Abacus Industries have a guaranteed capacity to deliver these products on time and to specification quality. Established as a family-owned company in 1998, today Abco Products employs an expanding team, housed in our Head Office in WA and our State Offices in NSW, VIC & QLD. From specialised cleaning machinery to everyday hygiene consumables, you'll find we offer the widest range of products and the most reliable service in our industry. With over 19 years in the pest control industry, Action Pest & Weed Control maintains a reputable status as a leading provider of commercial and residential pest control services including preventative pest control, termite pre-treatment and control, pre-purchase building inspection and exterminator services. Action Pest Control is located in Braeside and offers professional pest control and exterminator services to the South Eastern, Southern and Eastern Suburbs of Melbourne including the Mornington Peninsula. Active Cleaning Services has built an enviable reputation in the market place of commercial cleaning. Our system of operation with its strong administration team and quality practices will deliver a reliable, cost effective, high standard and efficient cleaning service that will meet our client’s requirements. Our comprehensive range of services includes insect and rodent, to bird and possum control - for industrial, commercial and domestic properties. We use only the most advanced and safest materials, to provide our clients with long term relief. AerisGuard - removable film for coating rangehoods and AerisGuard products for air-conditioning and refrigeration systems. Safely cleans and removes contaminants as well protecting from recontamination. 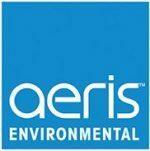 Aeris Environmental brings disruptive clean green technology to drive measurable improvements and changes in the performance and sustainability of the key assets in the built environment. Aimix Chemicals Pty Ltd has been in operation for over 25 years, quickly establishing itself as a national supplier of specialty Cleaning products. Products for use with Laundry Cleaning, Domestic & Commercial Cleaning, Personal care, Hair Care, Animal Care, Automotive Products, Disinfectant, Deodorising & Cleaning Agents and many other products to serve the needs of any sanitary requirement. All Pest & Weed Control operate from Cardwell to Cape York, as well as throughout the Atherton Tablelands and Torres Strait. Our fully qualified technicians offer a complete range of domestic and commercial pest and termite control and weed eradication services. We are a leading, global supplier of resins, specialising in the development and manufacture of resins used in the formulation of surface coatings. Right across our global R&D, sales and production network, our teams are focused on finding ways to help our partners improve performance and productivity, enter new markets, refine applications and deliver advanced products to meet evolving needs and environmental regulations. Altro provides the full wall and floor solution for commercial kitchens, food retailers and food & drink processors. Give germs Nowhere to Hide - Altro floors and walls do not crack or chip like ceramic tiles. Specialist pest control services for the food industry. Amalgamated Pest Control is the largest Australian Owned pest management in the country, serving the needs of Australians for over 80 years. We look after businesses and residential clients, providing effective and environmentally responsible pest management options. Fiji has 2 branches, the main office in Lautoka and another branch in Suva. The Fiji operation is owned and managed by Mohammed Tazim & Azimun Zinitul Tazim. The Amalgamated name has been in Fiji since 1998 with Mohammed Tazim joining us in 2005. AMR (Active Magnetics Research) metal fragment control consultants specialise in magnetic separation efficiency analysis in the food industry worldwide. Internationally HACCP endorsed, Active Magnetics Research Pty Ltd provides endorsed magnet verification/validation services and magnetic separator specifications. Risk analysis associated with magnetic fragment control is also available. AMR can also provide assistance with source analysis of metal fragments and metal detector rejections. Aqualuma LED lighting was formed in 2004, and is an Australian manufacturer and exporter of high quality energy efficient lighting. We specialize in marine, industrial, commercial and food grade fixtures. We have representatives in all states and full technical support from head office in Queensland including a free lighting design service. All of our products are proudly designed ,manufactured and warranted right here in Australia. Hand hygiene liquids, hand towels, dispensers for soap and towels. General purpose wipes, multipurpose and specialists cloths and dispensers for wipes and cloths. Tork is sold by Asaleo Care under licence from SCA, a leading global personal care and hygiene company. Tork offers an innovative range of washroom, wipers and tabletop solutions designed to improve hygiene and cost in use and reduce waste and maintenance. Wherever there is a need for wiping, drying, cleaning or polishing, there is an innovative Tork solution to suit. ASSA ABLOY Entrance Systems is the world's most comprehensive supplier of entrance automation solutions. With a holistic approach to the flow of people, goods and vehicles, we create solutions with the best possible balance of cost, quality and lifetime performance. The combined products, solutions and knowledge of ASSA ABLOY Entrance Systems create a strong partner for every aspect of entrance automation. Today we have gathered a strong portfolio of global brands under a single roof, preserving the wealth of expertise of each. Besam, Crawford, Megadoor and Albany are brands that are market leaders in their fields since decades, and have a strong history of proven solutions and extraordinary service know-how. Servicing Australia's Future in food safe packaging. At ATS Global Health and Safety, we pride ourselves in offering a superior selection of personal protective equipment to protect workers from a range of workplace hazards. Specifically constructed with an emphasis on the wearer’s safety, our range of protective equipment and gear are robust and comfortable. From coveralls to offer complete protection to gloves to prevent injury resulting from splashes or corrosive liquids, we have your needs covered. With our protective clothing, you can make a huge difference in the level of safety and be secure in the workplace. Aurora proudly provides the FORCE10 range of high performance magnetic separation systems and magnet verification services for the food & dairy process industry. The Aurora team are renown in the industry for uncompromising commitment to quality and performance We are committed to protecting your product, equipment, and brand! AusPress Systems supply the leading Blucher stainless steel drainage systems including EuroPipe drainage, Industrial Drains and Channels. With extensive experience supplying food, drink and abattoir processing projects since 1992, our Blucher drainage products are designed for hot water wash down temperatures for a variety of floor systems with very fast & simple installation. With a hygienic 'self-draining' design to eliminate laps and cavities making cleaning and maintenance easier, Blucher products are the standard specification for mainstream supermarkets, commercial kitchens, and leading food and beverage processors. Installing Blucher EuroPipe stainless pipe and fittings is very fast and simple with the stainless push-fit join design requiring no priming, welding, glues or threading. Blucher Industrial Drains and Channels are suitable for commercial kitchens and preparation areas, heavy forklift and pallet truck loads and feature our unique removable water trap and filter basket options for cleaning and maintenance. Avion Services Australia – Pest Management, accredited to ISO standard 9001:2008, is dedicated to protecting your reputation & working environment through our quality products and services. We simply provide you with the best in pest management solutions. We are certified to develop and deliver pest control services to commercial, industrial and residential customers. We can provide professional and independent audit advice to your business. Understanding your business is our business. Our difference lies in our dedicated team to deliver pest solutions to protect you, your home, and your business. We support your business by offering our commercial clients online access to all your documents helping you maintain your pest management system. Our staff are fully trained and licensed pest management technicians, who know the pest business and the best pest management solutions for you. For much of the last 25 years Bardwell Safety Matting has concentrated on providing products related to Anti-Fatigue matting and Non-Slip matting for the Food Industry. We have designed and manufactured a super-soft lightweight matting system called “Power Pod” and have been successful in supplying a number of prestigious company’s including: – Kraft, Bega Cheese, Inghams, Hazeldenes, McCormack Foods, Simply Delish, Fonterra, Pauls Confectionary, Nestle, Lite & Easy, Pancake Parlour, Mcdonalds etc. Bastion Pacific Pty Ltd is an Australian owned company committed to supplying the ultimate solutions in barrier protection. Products include an extensive range of foodsafe and medical grade disposable gloves and protective wear. An exclusive manufacturer of rodent control products, Bell Laboratories produces the highest quality rodenticides and other rodent control products available to the pest control and agricultural industries on six continents. Bell has developed a complete line of products - rodenticides, tamper-resistant bait stations, non-poisonous glue boards and mechanical mouse traps - to control rats and mice in any situation. Best Crete is a new but well-seasoned manufacturer in Polymers Floor Coatings System for Industrial and Commercial Floor. Our expert enable to provide you with customize solution to meet your specific requirement, and we also able to give a robust solution by bringing together all the necessary elements to identified your problem. We help to create hygienic, hard wearing, high chemical resistance floor and make your environment much cleaner, safer and healthier. Bethell Flooring is the leading specialist in the application of resin floors and coatings, we are the chosen commercial flooring contractors for the most recognisable food and beverage manufacturers, retailers, large supermarkets, and trusted construction companies in Australia. With nationwide experience in the application of durable, hygienic, and easy to maintain commercial industrial flooring solutions. Our team can deliver specialist new build and maintenance solutions to resist impact, slip, thermal shock, chemical, and food attack with minimal downtime to operations. BioZone specialize in the design and manufacturing of air and surface purification systems. BioZone's exclusive PhotoPlasma technology offers solutions to eliminate bacteria, viruses, moulds; decompose hazardous chemical gases and can remove unpleasant odours in the air and on surfaces. HACCP approved products for ice machines, cool rooms and refuse garbage areas. BLÜCHER is one of Europe's leading stainless steel drainage product and system specialists and our products are sold in more than 40 countries throughout the world. We manufacture and supply drains, pipes, channels and accessories providing high quality drainage solutions for customers within the housing, commercial, industrial and marine areas. Production, product development and central administration facilities are located in Vildbjerg, Denmark. Protecting the good reputation of your business depends on the hygienic, cost-effective operation of your cool rooms. COLORBOND® Permagard® steel combines the proven strength and durability of COLORBOND® steel with antibacterial product protection. Borg Corporate Property Services is a National Company that provides an extensive range of specialised cleaning, waste management, washroom hygiene and facility integrated services across a diverse industry sector throughout Australia. Operating on a Smartphone (iOS/Android) or a ruggedized PDA (Windows Mobile), BrandM8 is an electronic, intelligent checklist management tool for the completion of food safety (HACCP) and operational checklists within retail and food service organisations. It simplifies the collection and analysis of compliance data. Disposable gloves, wipes, KwikMaster scouring pads and Katermaster baking and cooking paper. Bunzl is a leading specialist distribution group supplying a broad range of non-food consumable products. We provide value-added integrated supply services, including procurement and inventory management. Our main customer markets include contract cleaning, food processors, healthcare, hotel & catering, industrial, redistribution, retail and safety. Carona Group Pty Ltd are industry leaders of door & barrier systems for energy & hygiene control. Our focus is on hygiene and temperature controlled environments requiring corrosion resistant components to suit the food processing, laboratory, healthcare and retail industries. Carona's product range includes Coldshield Flexible PVC Swing Doors & Strip Curtains, Thermal Traffic & Insulated/Fire-rated Corrosion Resistant Doors, Coolroom Doors, Night Blinds and our unique Compass Sliding Track System for refrigerated vehicles. ARTINOX, In-Fix shelving is a global leader providing high quality shelving systems ideal for cool rooms, kitchens, production / process areas, stores and laundries. It is used primarily in the hospitality, health care and pharmaceutical industries. Due to its Modular construction and 100mm increments in both breadth and length we can fully utilise small areas to fully maximise available space. We are committed to supplying the best shelving solutions and service to our customers. CEMKRETE - a name associated with Engineered product in flooring, specialty coatings, structural repair and building construction. Our business philosophy is built on "Protection today for Performance tomorrow". Nothing here in Cemkrete is taken for granted be it product or after sales service, you can always count on Cemkrete. Cleaning is an important sub section of all HACCP programmes for all healthcare and food and beverage business's ability to manage procedures, meet measurable standards and document its performance is critical to its maintenance of HACCP accreditation. CRG provides state of the art garments, personal protective equipment and cleaning products to the Food industry. With over 40 years of experience in the food industry, CRG has gained the reputation of being the trusted leaders in contamination control. Our aim is to minimise the chance of bacterial contamination on every garment, every time. Clifford Flooring Pty Ltd are true leaders in the installation of epoxy and polyurethane flooring systems, which meet the highest standards set by HACCP, WH&S and TGA. We provide out of hours installation to keep disruption to your work place at a minimum.Our Epoxy and polyurethane flooring systems are specifically used in Food & Beverage Production and Processing, Pharmaceutical & Healthcare Industries, Commercial Kitchens, Warehouses and other environments that are required to comply with their relevant standards and accreditations. Clorox Commercial is a leading manufacturer and marketer of food preparation, storage, baking, cleaning and disposal products to the Food Service, Hospitality, Commercial and Industrial sectors. Chux®, OSO® and Glad® range of products. Corporate Pest Management delivers quality pest management services that addresses our customers' needs and meets industry requirements. We have highly skilled staff, trained in all aspects of pest management who possess significant industry experience. 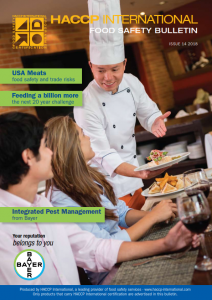 CPM has changed the world of Integrated Pest Management by providing a higher quality of service. Our Clients have access to a computerised reporting system that provides proof of service, a wide range of reports and graphs to satisfy any audit requirements. CPM specializes in providing Pest Control services to commercial premises and count many of the country's leading companies among our client base. We offer the exclusive Greenlight Food Safety program where our extensive range of NSF H1 MRO maintenance products work together with a visual audit complaint identification process. Involving on-site audits, ready-made documentation and employee RTO Training. Kitchen Stewarding and Commercial Cleaning Service for Sydney metropolitan area. Dawson's Australia is wholly Australian owned and operated by the Dawson Family which has over 50 years experience in the Pest Control Industry, and Customer service is our priority. We offer a 24-hour service to existing clientele and have managed commercial pest problems in various sites including; Local and State Government Utilities, Emergency Services, Institutions, Schools, Hospitals, Food Manufacturing and Distribution, Airports, Shopping Centre's, Hotels and Nursing Homes. All our units are fully equipped and are able to carry out a large range of control methods on site. Deb Australia, the world’s leading away from home skin care company, provides a complete range of skin hygiene and skin care products to accommodate a broad variety of user preferences and applications. The HACCP Australia approved range combines tailor-made systems with World First innovative products to develop and support a ‘best practice’ culture in hand hygiene. Floor and wall surfaces and treatments. DEFLECTA ANTIMICROBIAL and DEFLECTA SURFACE BINDER with bacterial control delivers to new and aged concrete an easy cleaning gloss finish that is stain-resistant and anti-slip. DEFLECTA strengthens, stops moisture migration, sanitizes, purges residual waste such as blood, body fluids/fats, urine/faeces, oils, acids and stops further waste from entering concrete. Controls salinity and prevents concrete cancer. The Dyson Airblade™ hand dryer is the fastest and most hygienic hand dryer, filtering incoming air to remove 99.9% of bacteria before it's blown onto hands. Powered by Dyson's digital motor, it dries hands in just 10 seconds and uses up to 80% less energy than warm air hand dryers, offering significant savings on running costs in comparison to conventional hand dryers and paper towels. Pest elimination services for the food industry. Ecolab Pest Elimination has more than 30 years of pest management experience focusing exclusively on the institutional/commercial market segments. We consistently deliver our scientifically proven protocols to not only control pests, but eliminate them. All while providing the insights needed to help identify risks before they happen. With Ecolab, you can be confident you are protecting your customers, employees, and your reputation from pest related risk. Eline Food Processing Supplies (EFPS) is a family owned business operating throughout Australia. We supply personal protection equipment and industrial apparel to fresh-food manufacturing in-house. enLighten® is multi award-winning LED lighting manufacturer and supplier. We are a privately owned Australian innovations company. Our passion is delivering cost-effective energy savings solutions to businesses throughout Australia. We have experienced in house lighting designers and comprehensive product warranties ensuring you achieve the best outcomes for your project. Access a dedicated technical support hotline and start saving today. Enviro Associated Products Pty Ltd (EAP) is one of the leading hygiene product solutions and food services product company in Australia. Veora Everyday Colour Coded Industrial Wipes Range is a HACCP Australia certified food safe cleaning aid for use in general cleaning tasks, food manufacturing, processing and handling operations. Supplier of kitchen cleaning chemicals. Envirofluid has Australia’s only full range of high performance, nontoxic and environmentally compliant cleaners and degreasers certified for use in the food industry. The products give superior cleaning performance and protect cleaning surfaces without using harsh or corrosive chemicals. Triple7 Products ensure that chemical exposure and potential health risks to personnel in the food industry are minimised. ESTOP Sdn Bhd specializes in manufacturing and marketing a comprehensive range of products including waterstops, surface treatments, cementitious and epoxy grouts and repair products, waterproofing and flooring products using the technology acquired from an International Company based in Dresden, Germany; offering the highest standards of quality from the perfect combination of the "International Technology and Local Expertise". Anti-bacterial air care and sanitiser service. Flick Pest Control is Australia's most experienced pest control company with over 95 years of reliable, safe and professional service in Victoria and Tasmania. We offer tailor made pest management within all major market sectors and commercial facilities. With the largest network of branches and pest control operators nationally, a superior localised service can be offered to meet individual client needs. All service technicians are fully trained to comply with unique pest control standards as set out by Flick Anticimex, all of which exceed industry guidelines. All operations follow a robust guideline to ensure compliance with government regulations and licensing controls. FloorChem Asia Co.,Ltd. are leader polyurethane & epoxy flooring manufacturer in South east Asia and Asia Pacific. We supplied best quality product to local market and oversea market more than hundreds thousand square meter per year. Our products are categorized under four mainstream trade names i-SEAL, i-FLOOR, i-DECK, i-QUICK and i-KRETE which cover a wide variety of applications and finishes. Range of disposable and reusable gloves, earplugs and wipes for the food industry. Gardner Denver supply a broad range of solutions for the food and beverage industries worldwide. High performance vacuum pumps and compressors are used in more applications, including; bottle filling, bulk transfer, packaging, fluid pumps, evacuation, filtration, sterilization and much more... brands include CompAir, Elmo Rietschle, Belliss & Morcom, Reavell and many more. The General Mat Company is part of the Identity Matters Group which consists of specialists in the areas of branded matting, point-of-sale products, safety matting, signage manufacture and related services. Our major concern is the safety and comfort of your staff and customers. In light of this concern, we have created Australia’s largest catalogue of safety, grease-proof, slip-resistant, and anti-fatigue matting.We also offer Australia’s largest selection of runner and rubber mats with special safety features. The tailor - made, highly efficient systems from Hidria GIF represent a complete system for large catering establishments which is flawless in terms of ventilation, air conditioning and hygiene. We bring businesses, associations and industries together. This blended community comes to GS1 Australia for advice, networking and solutions to their supply chain challenges. GSB Lubrication Services Pty Ltd specialises in on-site lubrication and associated services and with more than 30 years combined experience in lubrication, we believe our knowledge and expertise can be a valuable addition to your maintenance department. The staff, empowered by a strong loyalty to each other, embarked on a journey in 2004 that has seen the company grow at an ever increasing rate. 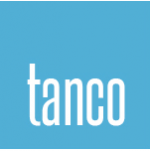 Haneco Lighting is an Australian owned specialist LED lighting manufacturer servicing the electrical wholesale industry. Offering over 35 HACCP Australia certified LED lights in different sizes, different wattages and different smart features. We are based in Adelaide, South Australia, but are supplying to wholesalers Australia-wide. Specialising in HACCP Accredited Silikal© GmbH Reactive Resins, Hawk CFC is passionate about providing it’s customers with “Seamless,” and Easy-To-Clean, Non-Slip Surfaces. Designed specifically for the Food Industry, Production, Processing, Pharmaceutical, Healthcare, Aged Care. Hayes Pest Control P/L has been operating successfully for 20 years and prides itself on providing a quality and safe service to commercial, industrial and domestic customers. We are leaders in commercial pest control for the food industry and can design a pest control program to suit your needs. Hicare is India’s leading Pest Control Service Provider for both B2B and B2C sectors. With presence in over 30 cities and 50 service centers, our network and expertise is unparalleled. Hicare started in the year 2004, employing highest levels of safety and hygiene for the consumers and the technicians alike. Hicare is backed by one of the top private equity firms, India Value Fund Advisors (IVFA). Designed specifically for use in the food processing industry, these vibrant blue gloves are ambidextrous and feature a diamond texture for extreme grip - even when wet! Supplied in handy dispenser boxes, the Gekko Grip Silverlined Latex Gloves reduce waste and save you time and money. Hoshizaki is the world's number 1 ice maker. Internationally recognised for its hardest, clearest ice, energy and water efficiency and a superior degree of reliability. Hychem International has built a firm position in the Australian resin flooring market on a foundation of knowledge and commitment in formulating a superior range of systems used to protect and improve the appearance of concrete structures. Hychem provides concrete protection solutions for sectors such as the flooring, waterproofing, engineering, water and mining markets. Hychem’s extensive grouting portfolio has evolved over time and now protects a comprehensive cross-section of private and public concrete structures throughout Australia. IGLU Cold Systems have been manufacturing a comprehensive range of modular and bespoke products of the highest quality and specification. Enjoying an enviable reputation around the world as one of the industry's most prolific innovators in performance and in energy saving. Industrial Magnetics, Inc.: IMI specializes in creating, developing, engineering and manufacturing magnetic separation equipment for our customers’ specific requirements, and we take pride in the quality and performance of our products. When IMI was established in 1961, it was founded with a pretty simple goal in mind – know the customer and the application, manufacture the best solution and deliver it as promised. Pink Hygiene Solutions and our global parent, Initial hygiene, have joined forces! The fusion of local knowledge and global expertise ensures that Initial Hygiene can continue to be Australia's leading hygiene solutions brand. Initial's core goal is to increase the standards of hygiene for businesses everywhere. Our range of services ensures that washrooms and high traffic areas are hygienically safe; ultimately improving the performance of your business in providing greater hygiene security. Rocol lubricants and food safe aerosol cleaner. The Rocol range of premium quality maintenance and service lubricants (MRO) and site safety products are technically advanced and specifically manufactured for both the food and industrial metal working industries. Rocol is a market leader with its Foodlube range of food safe lubricants and Sapphire range of bearing greases. The products are specifically designed to effectively lubricate all types of processing equipment operating under high loads in the food and other related clean industries. Rocol is also a world leader in cutting fluid technology with the renowned RTD hand applied cutting lubricant for metalworking and the Rocol Site Safety products are designed to make premises, structures and public areas safer for public use. These include the Easyline range of line marking paints and Safe Step anti-slip coatings. The entire Rocol range of products is available through a national distributor network throughout both Australia and New Zealand. Jentel Pest Management Technicians are Professionally Trained, Insured and Licensed in all areas of Commercial Pest Control. We administrate an Online Pest Management Programme that will help you take control of unwanted pests and paperwork. Contact us today to arrange your on-site inspection and proposal. KIMBERLY-CLARK PROFESSIONAL is your indispensable business partner, delivering support, services and leading-edge hygiene and to help stop the spread of bacteria and contamination of food. We provide solutions with consistent performance to help you manage food safety and quality in your business, and meet GMP, HACCP and ISO standards. We have a fully integrated range of washroom systems, wiping solutions and personal protection equipment. Reduce the risk of cross-contamination with our hygienic disposable wiping solutions for routine cleaning and colour coded wipers for segregated wiping tasks. Achieve high standards of personal hygiene with our innovative hand washing and proper hand drying products and dispensers to stop the spread of bacteria and prevent food borne illness. Our personal protection equipment is suitable for food preparation and provides excellent protection. Koh Universal Cleaner is an eco-certified ionic formulation of pure water and potassium mineral salts. Effective across most common professional kitchen work surfaces including wood, stone, glass, stainless steel, laminates, painted surfaces and most hard floors. Koh Universal Cleaner rapidly breaks down grease and surface grime making cleaning fast and effective. Label Makers Pty Ltd manufacture a range of BOPP meat inserts and carcass tags suitable for use in meat packaging and processing. Tags can be supplied in a range of colours or printed with bespoke designs, and can be produced on high temperature resistant direct thermal materials (DT), or materials suitable for use with a thermal transfer ribbon (TT). Label Makers manufacture a wide and varied range of self adhesive labels and tags to suit your needs. Label Power design and print high-quality labels, and provide cost-effective solutions so you can print your own full colour labels on demand. Once your labels are printed we provide you with equipment so you can apply them quickly and easily onto your products. Label Power are HACCP certified and provide food-safe labels and tags. We also supply and service Datamax and Zebra thermal transfer printers. Lalan Gloves - SafetyCare is a premium supplier of food service & processing consumables including PPE consumable, HACCP certified single use and re-usable gloves, and scouring & sponge pads. Lancer Beverage has long been Australia's leading draught beer dispensing Beer System since pioneering the glycol Chiller Plate system. Now we are proud to be the first and only HACCP approved draught beer system. Lanotec supplies an environmentally safe, non toxic, bio degradable range of rust inhibitors, lubricants, sealants, penetrants, release agents, cleaners and degreasers. Disposable gloves and protective clothing, wipes and carton liner for the food industry. Livingstone International has been a supplier to the entire Australian market for over 35 years providing quality products. Livingstone is a leading supplier of gloves, protective wear, kitchen wraps and foils, plastic take-away containers and stationery. The Commercial Kitchen Services Specialists in commercial rangehood filter cleaning in Sydney and surrounding areas and sales of Alpha Rangehood Filters worldwide all meeting the high standards of HACCP Australia. Luxury Paints is a privately owned company that has been manufacturing quality paint and servicing the Australian public and painting trade since 1982. Magic Tank will clean almost all of your kitchen equipment with no effort at all. The system is Non Caustic, Non Toxic and environmentally friendly. Magnattack Global is endorsed by HACCP Australia for Magnet Testing Procedures using currently calibrated instruments. The procedure is useful to establish validity of CCP and final magnets used for product security in food processing or packing. Magnattack Global also manufactures endorsed MAGNATTACK™ RE80 ultra High Energy Rare Earth Magnetic Separation Systems to ensure liquid, powder and granular products are free of magnetics including work hardened stainless steel and stone fragments. at its Smithfield (Western Sydney) factory for 40 years. Mantova is now the largest Shelving Manufacturer for the Food Service Industry in Australia and also produces Trolleys, Barware, Kitchen Equipment, and Hardware. Modular Farms Australia launched in 2018 as a distributor of turnkey indoor farming systems manufactured in Brisbane, Australia. Its farming units are capable of growing fresh, healthy produce virtually anywhere in the world and in any climate. The result is an efficient unit producing crops of high quality and in large quantity, exceeding those grown in shipping containers. Greenlight Quality Control by Muddy Boots Software is a centrally configured solution for the food industry, designed specifically and exclusively for the management of whole food safety systems, product quality and compliance. Featuring ‘fail-safe’ characteristics, data integrity and record verification systems, Greenlight Quality Control streamlines complexities and enhances traceability with inbuilt business intelligence analytics and integrated cold chain management. MUN Australia, a subsidiary of Hartalega, is a global market leader in the manufacture and supply of nitrile, latex and vinyl gloves. 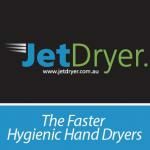 They are also an Australian and New Zealand supplier of hand hygiene solutions and personal protective equipment. MUN is known and trusted throughout the Australian and New Zealand food industries for its quality, reliability and innovation. Prevention is better than cure and Statewide Pest Control will make sure your business premises stay free of all rodents and insects. From pest prevention to direct pest management, we are the commercial pest control specialists of Victoria and the Riverina region. Don’t put your employees’ health at risk. Call our team today for the area’s leading commercial pest control services. OZ-TANK are the leaders in the kitchen soak tank industry these Australian made systems are designed to clean all your heavy end kitchen equipment char grills stove tops pots pans trays hood range filters and much more the tank uses a HACCP accredited food safe solution(carbsolve) and is based around the key principals of time saving wage saving and the use of non caustic user friendly products for further information contact OZ-TANK. Pestoff Pest Control is a small, service focused company that has been protecting the food/food related industry in Victoria for 15 years. Our team is well trained, experienced, knowledgeable and has been relied upon for many years to meet the changing pest control requirements of Food Manufacturers, Government agencies, hospitals, nursing homes etc. Proudly HACCP certified we understand that recording, reporting and compliance are as important as procedures and types of materials used on site and work closely with the customer to provide a value service. Our aim is to not be the biggest but be the best. PPG is a trusted source for all of your healthcare, industrial safety and hygiene needs. There is nothing more important than the safety of your employees and co-workers. PPG stock and supply every type of product that will offer them protection. Our safety and PPE products meet Australian Standards and Regulations. We service all areas of industry including the Pharmaceutical, Health, Aged Care, Personal Care, Food Service, Industrial, Chemical and Automotive industries and all our products are manufactured to the highest quality. With close to 20 years experience in epoxy flooring, Profloor Epoxy Systems has worked together with architects, engineers and construction firms to provide long lasting surface solutions, all at a competitive price. From project concept through to completion, Profloor Epoxy Systems provides all clients with the satisfaction of high quality service. Protech provides pest control services for commercial buildings in and around Melbourne & other areas of Victoria for professional pest management services. Protech Pest Control's highly trained and experienced team offer an effective and professional approach. Our pest control integrates the latest in products and technology with an environmental focus ensuring that the end result is no pests and a minimal environmental impact. Here at Restock, our mission is to be the responsive and reliable supplier of all your essential business consumables. We've been in the industry for over 15 years, and it is said that all knowledge comes from experience. Along with an established history, we recognize the need to deliver consistent service and value to you, anywhere, anytime. With a local presence, a fully-stocked warehouse with your favourite products and a dedicated customer service team, we are more than just a supplier. We work with you today and every day of the year to help you run your operations hassle-free. We are an Australian owned company committed to supplying the ultimate solutions in safety and hygiene protection. We focus on non-food consumable products to ensure you meet the safety standards required when working in the food industry. ROXSET have completed 1000's of installations throughout Australia with projects in PNG, Asia and Saudi Arabia. SCHÜTZ DSL manufactures and distributes the SCHÜTZ ECOBULK Intermediate Bulk Containers (IBC's). The units measure one cubic metre, hold 1000 litres and consist of a high density polyethylene (HDPE) blow moulded inner bottle surrounded by a steel cage, mounted on either a steel or plastic pallet. UN approved and HACCP certified, the units are suitable for the packaging of all types of liquids, including food products. IBC's are highly efficient and the multi-layer range provide added protection against oxygen permeation, extending the shelf life of many food products. A global collection service is available through the SCHÜTZ Ticket Service. Offices are located throughout Australia and SE Asia. Shine On is an Australian owned energy efficiency specialist that upgrades commercial businesses with LED lighting solutions Australia-wide. We offer a complete turnkey solution, from sales through to project management and installation, as well as designing and developing our own market-leading product range, optimised for the retrofit industry. 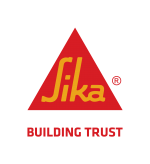 Silikal GmbH - a global partner for first-rate industrial flooring is specialized in the production of reactive resins - made in Germany - for heavy-duty flooring for professional applications in industry, trade and commerce. Silikal MMA floor coatings are fast curing, easy to clean and maintain, available in many attractive colours with excellent chemical resistance. Solaris Paper is an Australian operated and managed company, distributing high quality toilet and tissue products throughout Australia. Solaris Paper’s Away From Home business supplies LIVI quality toilet paper, facial tissues, towel and related products for use in all public and private commercial facilities. LIVI is well known in world-class establishments across the globe, from hospitals to resorts, restaurants to cafes, government institutions to corporate offices and schools. A Proud division of Stella Tissue Group, Stella Products Australia is a specialist in the away from home tissue market. We have been servicing Australia for over 10years and have grown our loyal distributor network across the country. Our mission is to provide effective and prompt pest control services to our many commercial and domestic clients. After almost 25 years in the business we have thousands of happy clients including aged care facilities and kindergartens, restaurants and clubs, strata plans and private clients. We use world-pioneering cockroach bait gel technology with outstanding results. You simply can not beat our STOP CREEP cockroach gel when it comes to cockroach control. Once you have tried other products give us a call to discuss your needs. SunTan Healthcare Products Pty Ltd had been supplying Australian Businesses with disposable gloves since 2014. Based in South Australia, we own our manufactory in China and we supply Australian clients with the full range of disposable gloves. ​Our direct importing relationship with factory ensures that we are able to supply world quality disposable gloves to our Australian clients at competitive prices. Clean, deodorise and sanitise without costly chemicals using the Tersano chemical-free cleaning system. Tersano turns ordinary tap water into Aqueous Ozone – nature’s most versatile super-cleaner. It kills germs while powering out dirt, grime, stains and odours. Once the job is done it turns back into water and oxygen. Naturally. The Glove Company (TGC) creates innovative solutions that provide and maintain hand safety with many specialist gloves suitable for the food industry. The TGC Microlite gloves are our lightest glove providing dexterity similar to the naked hand, are latex, vinyl and powder free. Food safe with FDA regulated and HACCP certified. The TGC Orange Nitrile Gloves are also HACCP reg. Thorn Lighting, a company of the Zumtobel Group, is a globally trusted supplier of outdoor and indoor luminaires. Our mission is to make great lighting easy for you. Thorn Lighting has teams of lighting specialists in all major capitals. We have in-house technical, marketing and engineering support for the entire portfolio, plus a local production in Australia and New Zealand. TECC removes oil and grease from the exhaust fans using modern technology and cleaning equipment. Our services includes a Kitchen Systems Check, Hood and Exhaust Cleaning, Access Ports, Grease Filters, Hood and Duct Cleaning. Coolroom cleaning is a specialised field. A fully functioning coolroom is vital to maintain temperature, ensuring that food is stored correctly and is free of mould and biological contaminants and saves energy. TECC have the expertise to remove microbial contamination and biological contaminants safely and hygienically from refrigeration units, ceilings, walls, doors and fans using the best practice methods. Traps Pest Control provides a professional, hassle free, customer focused approach. Particularly providing expert advice and pest control reporting systems in accordance with all OH&S, HACCP & AQIS requirements. Tomorrow's pest control today. Ultra Health Medical Pty Ltd specialises in high quality Medical Consumable Products. With over 18 years of experience and acquired knowledge, Ultra Health services clients ranging from small business through to large corporations and government entities including our Public & Private Hospitals. Our service delivery strategy, business knowledge and acumen, combined with our experience, drive our customer satisfaction and the longevity of our customer relationships. Universal Foodservice Designs is a new design consultancy that specialises in the sustainable design of efficient foodservice and laundry operations. Universal Foodservice Designs creates tomorrows laundry and foodservice operations today. For over 22 years, Ultra Violet Products (UVP) has been one of Australia's leaders in the ultra violet industry. Our expertise lies in the consultancy, sale and service of industrial equipment and our experienced staff can assist in choosing the right product for your application. De-Solv-it uses oranges as a natural and brilliant base for its powerful cleaning capabilities. Completely bio-degradable. De-Stick-It, De-Stain-It, De-Scum-It. De-Solv-It can be used on benchtops, household appliances, shower screens, sticker residue, wax, crayon, soap scum, chewing gum, lipstick, scuff and rubber marks, grease and oil, prewash and much more. Made in Australia. Contact Vardon Industries on 1800 DESOLVIT. Web-Pro Corporation specializes in producing high-quality goods for cleaning materials. By committing to quality, reliability and service, Web-Pro now is the leading nonwoven manufacturer in Asia and your best partner for growing business together in the food industries. Wedderburn Labels provides a comprehensive range of labelling solutions for the food industry. Drawing upon over 15 years of experience, Wedderburn has the know how to meet your labelling requirements. Comfortable, super soft, flexible powder free nitrile gloves provide added safety applications. Designed with special nitrile formulation they feel and fit like latex and allow full range of motion and excellent flexibility to minimize stress and fatigue. They do not contain natural rubber latex and are excellent alternative for those suffering from Type I allergies. Wurth Australia provides the food industry with HACCP certified maintenance solutions, food-safe lubricants and specialist adhesives, solvent cleaners and sealants for the food industry. From humble beginnings both internationally and locally, Wurth Australia strives to be a leader in its field. June 1982 saw the commencement of operations in a small office located in Braeside, Victoria – with a handful of motivated staff the business focused on delivering high quality products and service to a small number of customers throughout Victoria. With rapid expansion, several office moves, industry diversification and additional distribution centres, Wurth Australia now proudly employ in excess of 550 people servicing our growing customer base of 47,000. Compared to early days of operation, Wurth Australia now operates in all areas of Australia, from remote regional areas to metropolitan centres.